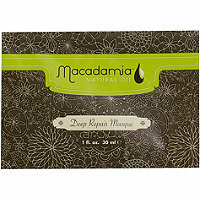 Details: Macadamia Deep Repair Masque is a revitalizing hair reconstructor for dry, damaged hair. A combination of macadamia oil and argon oil along with tea tree oil, chamomile oil, aloe and algae extracts rejuvenate and rebuild the hair, leaving the hair deeply nourished. Directions: Liberally comb through clean, wet hair and allow up to 7 minutes of penetration before rinsing. No heat necessary. Deep Repair Masque is an intense treatment. Use no more than twice a week. Ingredients: Water (Aqua), Cetearyl Alcohol, Glycerin, Cetyl Palmitate, Behentrimonium Chloride, Cetrimonium Chloride, Amodimethicone, Trideceth-12, Macadamia Ternifolia Seed Oil, Argania Spinosa Kernel Oil, Sodium PCA, Dimethicone, Triethanolamine, Citric Acid, Butylene Glycol, Phenoxyethanol, Benzoic Acid, Chlorphenesin, Sorbic Acid, Linalool, Hexyl Cinnamal, Butylphenyl Methylpropional , Citronellol, Limonene, Yellow 6 (CI 15985), Yellow 5 (CI 19140), CI14720, Fragrance (Parfum). My Thoughts: I tried this deep conditioner once before on my relaxed hair and didn't care for it much. However, my natural hair loves this conditioner. On my last wash day, I purchased the sample pack of this conditioner. I squeezed it into a container in order to not waste the product. After shampooing, I put the conditioner on my hair, and covered with a shower cap. After 15 minutes, removing tangles, and rinsing my hair felt so silky. It was like having butter on my 4C hair. Its the best $4.00 I've spent on a sample pack of deep conditioner. Removing tangles was SO EASY! A LITTLE GOES A LONG WAY!!! 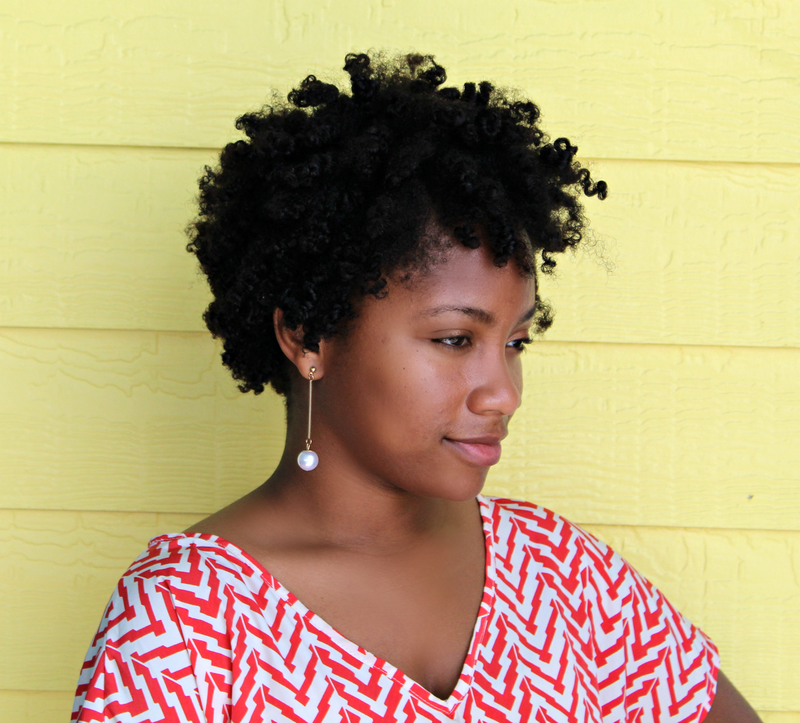 Keep It OR Toss It: I'm Definitely Keeping it in my regimen! I will update with pictures after my next deep condition with this product!